Sustainability isn’t just happening “out there;” it’s a consideration every day right here on our campus. By using our own facilities and community as a miniature model of the world at large, we can learn things that will make this campus better, but also make the world better. Launched in February 2018, iSEE’s Living Lab program is designed to link campus sustainability targets to national and global sustainability, energy, and environment challenges. When a specific call for proposals from a national granting agency on research (and extension) projects is posted, iSEE will provide quick seed money for some promising faculty-led teams that will engage with sustainability issues on campus or in neighborhood communities in their proposal development. Specifically, iSEE wants to leverage this seed money to attract external funds that are relevant to objectives from the Illinois Climate Action Plan (iCAP). In order to apply for seed funding, a letter of intent (LOI) needs to be submitted to iSEE. LOIs may be submitted at any time, but usually several months or more before the deadline of the proposal for external funding. A list of national programs and the links between each of the programs and selected iCAP project are provided in the appendix of the Seed Funding Program document. However, the external funding sources are not limited to those in the list. The LOI is limited to three pages and must use the template. In general, the LOI must address how the criteria listed above are met, as well as s a description of the research for the external proposal and how the seed funding will be used. If the external funding proposal involves collaboration with campus Facilities & Services (F&S) or other administrative staff, the LOI must include an explanation of this collaboration. If the LOI is selected and the expertise and time required in the proposal for external funding are beyond the regular job responsibilities of the related administrative staff, an agreed-upon budget must be reached between the proposal team and the administrative unit (iSEE will assist in the agreement preparation as needed). The LOI must include a budget not more than $30K and a statement of how the funding will be used to prepare the external funding proposal. Any questions about the seed funding should be sent to the attention of iSEE Managing Director Jenny Kokini. A completed LOI should be submitted as an email attachment to Ms. Amy Nichole Rosenbery with a copy to iSEE Associate Director Ximing Cai. A panel formed by iSEE will review a LOI as soon as it is submitted. Seed funding will be provided to selected teams based on the review. Comments and suggestions from the panel will go along with the review. We expect to seed fund 10-15 projects for proposal development every year. Does the LOI meet all of the stated requirements and guidelines? Does the project have the potential to impact one or more of the iCAP objectives, and impact Illinois leadership in campus sustainability in general? Intellectual merit: What is the potential for the proposed activity to advance the field of sustainability? Is the work plan well-reasoned, well-organized, and based on a sound rationale? Is there a strong potential for the target proposal to be funded by the external funding source? For easier reference, download a file of the Seed Funding Program document. Geothermal energy is stored in the Earth that humans can extract, process and then use. It is cost-effective, reliable, and sustainable. Capturing heat from the Earth to run a college campus would lower the U of I’s reliance on fossil fuels and help the university meet the goals set out in the Illinois Climate Action Plan (iCAP). A borehole located on the John Bardeen Quad, south of Grainger Library, and monitoring station was constructed in late 2018. It contains fiber-optic cable that will be connected to a distributed system to detect changes in the Earth’s thermal profile. This 450-foot borehole will collect data to determine if geothermal movement is viable in this location. In 2016, funded by the Student Sustainability Committee (SSC), Illinois State Geological Survey (ISGS, a Division of the Prairie Research Institute) researchers Yu-Feng Forrest Lin and Andrew Stumpf installed a test geothermal well on the campus south farms to study the potential of using ground source heat pumps at a large scale to meet campus heating needs and reduce campus fossil fuel reliance. In 2019, iSEE funded a further continuance of the project led by two Civil and Environmental Engineering faculty members to use the site for investigating the effect of temperature on hydraulic conductivity of glacial tills (heterogeneous subsurface geomaterials). 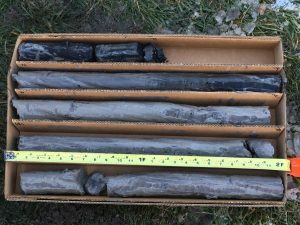 They will collect core samples from the borehole west of the geothermal exchange field on the Bardeen Quad and perform lab tests on the samples under representative field conditions to characterize conductivity and elevated temperatures. As different generations of individuals change and evolve, so may their transportation habits. However, it’s still an open question as to why younger individuals are shifting to driving less and owning fewer cars. On a college campus, students learn how to depend less on cars and more on public transit, bicycles, and walking. This study aims to better understand how students learn to be independently mobile. A pilot study conducted in 2018 found that Illinois students significantly changed their transportation habits while attending college. The surveys and focus groups conducted for this research will contribute to the iCAP goals with regards to reducing carbon emissions through travel on and around campus. 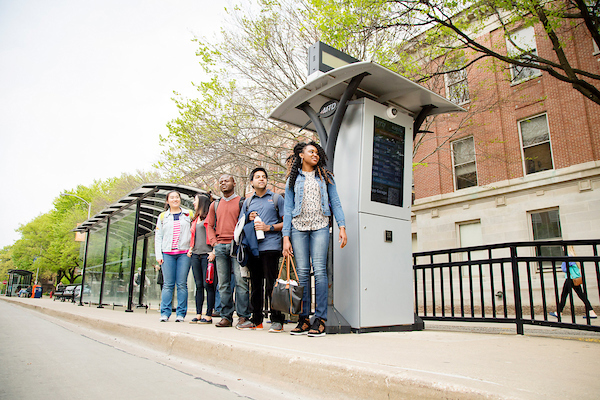 The University of Illinois’ Transportation SWATeam, in collaboration with iSEE and Facilities & Services, has been working to develop and survey commuter populations on campus. The results of current and future findings will be used to help determine the best future projects for reducing transportation-related carbon emissions on campus. Global demand for food, energy, and water is increasing, which poses the challenge of how to meet these demands in an environmentally and economically sustainable way. At present, energy production is dominated by carbon-intensive fossil fuels; however, renewable energies are being integrated into the energy sector at an increasing rate. Bioenergy crops reduce dependence on fossil fuels, but the efficiency of crops converting sunlight to stored energy is low — and the water requirements from agronomic and industrial perspectives is high. This proposal investigates a strategy called agrivoltaics, by which crop production and photovoltaics can be merged within a landscape to increase the total energy output toward food and energy production and to do so with less water and in an ecologically and environmentally sustainable manner. 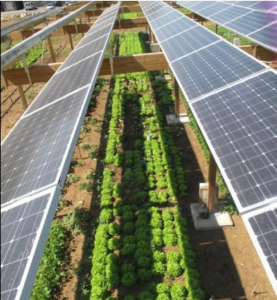 Agrivoltaics can increase the food and energy output per land area while reducing demands for water, based on the ability of solar panels to alter the plant growth environment to increase landscape water use efficiency (WUE) while marginally decreasing crop production but significantly increasing renewable fuel production relative to existing land use. The Agrivoltaics Team proposes to integrate economic models with an ecosystem model altered to include an agrivoltaic ecosystem. These coupled models will be used to investigate the energy output per land area and impacts on water use and water quality, and to spatially analyze agrivoltaics relative to the current ecosystem across the Midwestern U.S. Additionally, we will address social acceptance and create an outreach plan using the most effective strategies to promote K-12 interest in challenges facing the interface of food, energy, and water resources. The proposed site for an agrivoltaics study would be the 21-acre Illinois Solar Farm, along the south side of Windsor Road between First Street and the railroad tracks. The Farm, which went online in late Fall 2015, is expected to produce an estimated 7.86 million kilowatt-hours (kWh) annually, or approximately 2% of the FY15 electrical demand for the Urbana campus making this site one of the largest university solar arrays in the country. Research estimates the Solar Farm will generate up to 91% of its original output even in Year 20 of the project. Solar Farm 2.0 is also expected to be built in the near future on the U of I campus, lending further land for an agrivoltaics study. A large body of research exists on robots and autonomous technology, but still little understanding of how to integrate them into everyday life. While people seem relatively comfortable with a Roomba vaccum, a subservient robot, they might be less willing to let technology assist in other areas of their living space. However, adapting technology into the home could have significantly positive benefits for the occupant. The expertise of this research team is uniquely qualified to research and develop a robotic system that is capable of autonomously navigating to collect data on indoor air environment, observe human behaviors, and make recommendations for reducing energy and improving comfort. Campus buildings will be used as living labs. Once this project is completed, it could have serious implications within residential spaces and the autonoumous tech industry. People spend a majority of their time indoors, and indoor air quality has been attributed to a number of life-quality issues. Additionally, studies have shown that behavioral changes could lead to a 16 to 20 percent savings in energy. In everyday life, we think of heat as a measure of temperature. To engineers, however, heat is actually a signal of energy transfer — the “heat” you feel is energy being transferred from a warmer thing to a cooler one. To harness heat energy currently going to waste (just being exhausted into the air) from industrial sources for other purposes like space heating, Illinois researchers from the Department of Mechanical Science and Engineering and the Illinois Sustainable Technology Center (ISTC) will create a battery pack capable of storing heat through a series of chemical reactions. The key motivation for the concept is to overcome the outstanding issues with thermal (heat) storage: lack of long-term storage, low energy density, expensive systems and inflexibility of upward/downward scalability in designs. The initial designs look like stackable honeycombs filled with chemical soup that will soak up and store energy from exhaust heat. In the seed-funded phase of the project, graduate student researchers will study the repeatability of charging and discharging energy in the thermochemical battery, keeping detailed notes on how well the battery holds the power and if and when energy leaks occur. This proof-of-concept will be invaluable for refining the system — and for writing proposals for additional funding. The proposed storage system needs to be designed for multiple scenarios, several of which arise in power plants. Abbott Plant Plant on campus has multiple waste heat loss points that could benefit from thermal storage. The team will acquire and understand the existing waste heat loss data in terms of heat source temperatures, loss quantity, transients, and fluid flow rates associated with the losses. They will use the data to identify the components suited for thermal storage systems and explore designs that match the conditions at Abbott. Broadly, space heating is a large part of the campus’ energy use. In the long term, thermal storage offers the possibility of unique improvements in efficient use and reduced costs for the entire campus. An Illinois Energy Farm building with a geothermal exchange system will test a new, unique building material in the floor slab. Geopolymers, concrete-like alternatives, are a more eco-friendly building material. This research will assess the geopolymer-based construction materials performance in a structure using geothermal energy. A geothermal exchange system heat and cools a structure. 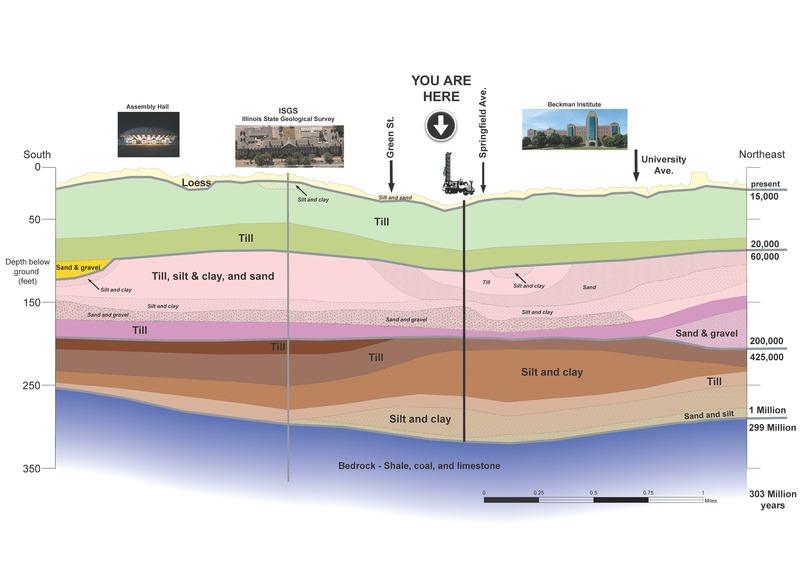 Illinois is studying the use of geothermal energy in other areas of campus as a viable power source (see project at top of page). This specific project will discover the feasibility of using geopolymers with geothermal energy for residential and commercial structures. This study will investigate the suitability of geopolymers for temperature control and foundation support. The world’s food, energy, and water systems are tightly connected. Sometimes, they work seamlessly together, but often they are competing for the same pool of resources, namely fresh water and clean energy. In this seed-funded project led by Bioengineering Professor Yuanhui Zhang, researchers from across campus will test a processing system that can deliver not only renewable energy, but also clean water and some bonus organic fertilizers for agriculture. Their design is meant to find synergies between water, food, and energy — where one category’s waste product could be another one’s ingredients. A process called hydrothermal liquefaction (HTL) sits at the heart of the project. Biowaste solids like campus food scraps or dried manures are exposed to high heat and pressure, replicating the geological process that created fossil fuels many millennia ago. While the energy-rich molecules of the biowaste become biocrude oil, the other nutrient-rich parts can be used as fertilizers for food production. Meanwhile, the liquid parts of biowaste can be treated to become clean water. Algae will eat up all the pollutants and leave behind clean water, and they can also be “fed” with the leftover nutrients from the HTL step. At the end of their lifespan, the algae themselves serve as an input for HTL, making sure nothing goes to waste. Team partners have developed a pilot-sized HTL reactor system that can produce one barrel of biocrude per day, enough to enable additional research on upgrading it to transportation-quality fuel. In fact, the team has already made forays into making bio-sourced forms of diesel, kerosene, and lubricants from the biocrude. This project is built upon an ongoing, student-led Student Sustainability Committee (SSC)-funded project to convert food waste on campus to biofuel using the EE-FEWS approach. That project completed the first stage in February 2018 and is ready to move on to the second demonstration stage. The SSC project is led by two graduate and four undergraduate students, with the participation and support of the Algae Club and ABABE (American Society of Agr. & Bio. Engineers) student club on campus. 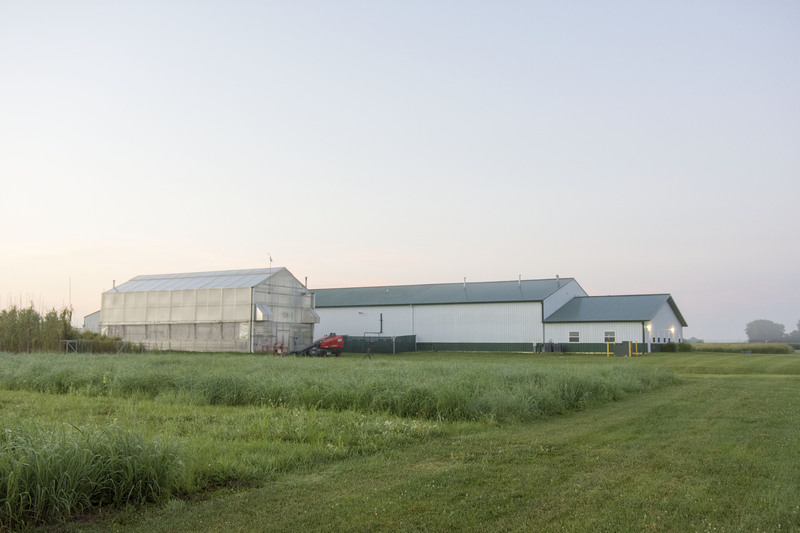 The researchers will rely on the E2-Energy Demonstration Lab at the South Farm Swine Research Center, a Department of Crop Sciences greenhouse, HTL reactors built by the Department of Agricultural and Biological Engineering, and wastewater treatment operations at Urbana-Champaign Sanitary District. The team published a paper in Nature Sustainability on its progress. Transforming university campuses into “living laboratories” is a timely, important campaign for sustainability research and education as well as campus sustainability enhancement. This campaign calls for students, faculty, and staff to work together to use campus and the surrounding community as a test bed to pilot promising new solutions to real-world challenges. 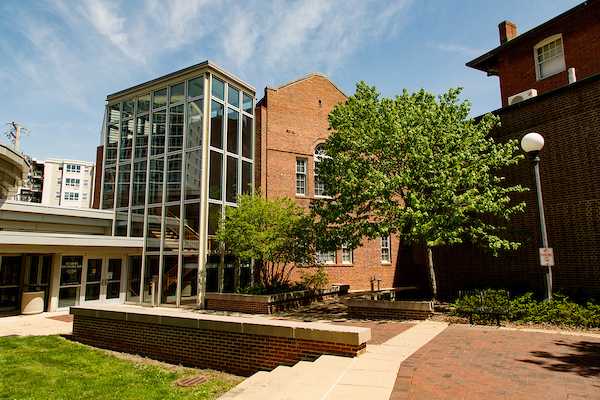 The University of Illinois at Urbana-Champaign (Illinois) has committed to promoting campus sustainability via hundreds of projects on campus under the Illinois Climate Action Plan (iCAP). More than 700 iCAP projects — categorized into energy, water, transportation, building and space, procurement and waste reduction, education, extension, and general research — are online for public assessment. These projects, many based on unique facilities/programs on campus, have great value for developing research and education projects targeting external resources; on the other hand, the realization of many campus sustainability objectives will need research support. Recently, iSEE has mapped the relevance of iCAP projects to a number of national research programs, which allows campus researchers to identify existing and/or ongoing efforts that can be incorporated into their proposal development for a particular national program. A report describing the iCAP projects and the links between those projects to major national research programs can be found at the following link: Overviews of Campus Sustainability Projects at Illinois: Opportunities for Education and Research. For examples at Harvard University, go to Campus Sustainability Innovation Fund or Living Lab; at Ohio State University, go to Campus as a Living Laboratory (CALL) and Campus as a Testbed; at the University of Minnesota, go to Living Lab; and at University of Washington, go to Campus Sustainability Fund.